Go Bigham or Go Home! Where your friends gather to eat, drink and be family. Bigham Tavern is a local neighborhood tavern that aims to provide comfort and consistency in our food and drink. We specialize in pub food with a twist. When you throw a party or organize a gathering, pretty much the first things you have to decide is where to host it. And we know the perfect place for you. Of course you are. And we’ve got you covered. 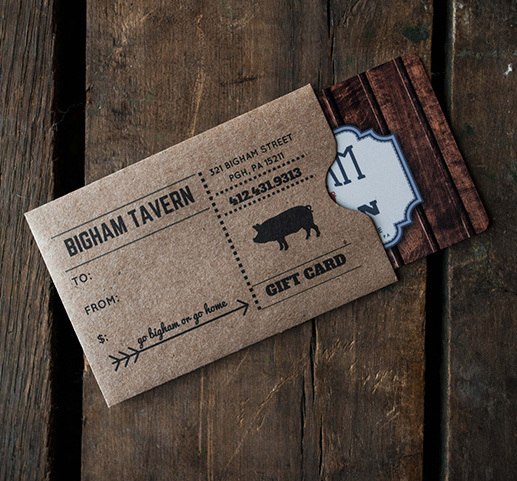 Look no further than a gift card to Bigham Tavern. Always in style. Available instantly.